芸術と計画会議（C.A.P.）は営利を目的としない、文化活動を推進する組織。神戸を拠点として社会とアートを繋ぐ様々な活動を行っているC.A.P. is a non-profit organization that promote cultural activities in Kobe connecting the society to the art. Their new venue is located in the old building next to Port Terminal Station where the port liner hangs to Kobe-Oohashi Bridge. The view of Kobe port is so refreshing, this is the best place to feel Kobe, viewing Rokko Mountain on the left, and the port island on the right. They started to build “STUDIO Q2”, which will be a C.A.P. member sharing studio with a big table in the center. They will discuss exciting ideas while sitting around this table, which became their first activity for the project. 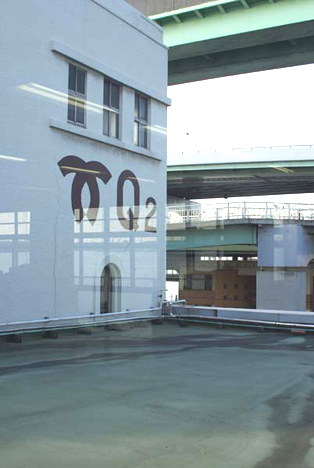 Access to STUDIO Q2, it will take About 15 minutes walk from Sannomiya Station and about 3 minutes walk from Port Terminal Station (Port liner).